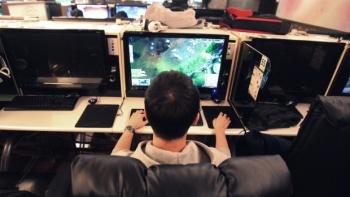 South Korea legislators are considering a law that would label online gaming as an "anti-social addiction." South Korea's parliament is currently considering a proposal that will align online gaming with other activities such as gambling, drugs and alcohol as a potential "anti-social" addiction. To date, the legislation is backed by 14 of the ruling law makers and comes after a ruling was passed in 2011 wherein South Korean residents under the age of 16 were banned from playing online games between midnight and dawn. If this decision passes, it will include building a fund to beat online gaming addiction by taking one percent of South Korea's gaming industry revenue, and will also limit game advertisements in the country. In the meantime, gaming companies in the country are arguing that passing such a bill would mean a death sentence for the South Korean gaming industry, with the Korea Internet and Digital Entertainment Association stating, ""The 100,000 people employed in the game industry are not drugmakers." Should online gaming be painted with the same brush as alcohol, gambling or even drugs? For South Korean gamers' sake, let's hope it isn't.